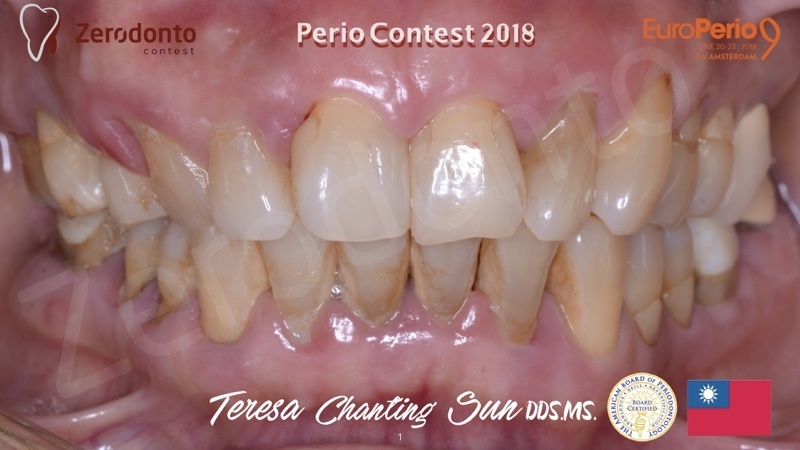 immediate implant placement with the soft tissue graft ( 9 years follow up) and CT Graft / Veneer placement for Smile Makeover. 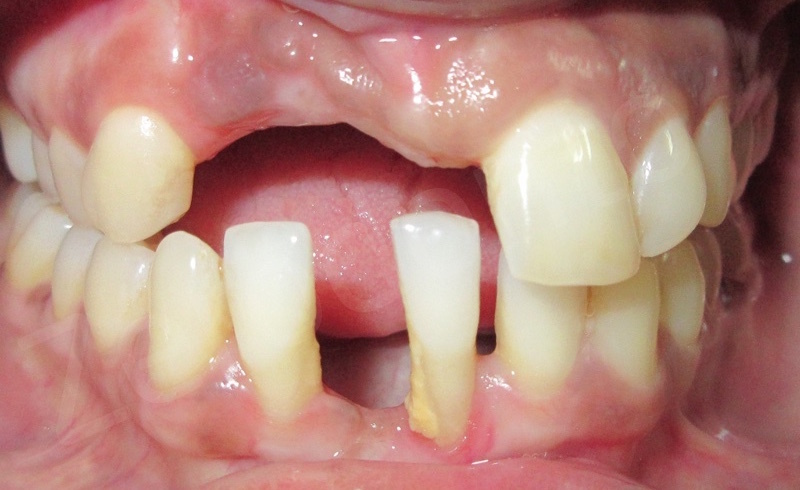 Darkened upper right lateral incisor with gum recession. She hopes to improve her smile. The immediate implant placement was done in 2008. Tooth 12 has the vertical fracture on the palatal side. So the treatment plan was extraction and immediate implant. BUT in 2008, immediate implant placement is the controversial issue and not enough evidence base. Joseph Kan believes but other groups like Araujo, Chen ST found that Immediate implant can’t maintain the buccal bone because of the bundle bone. 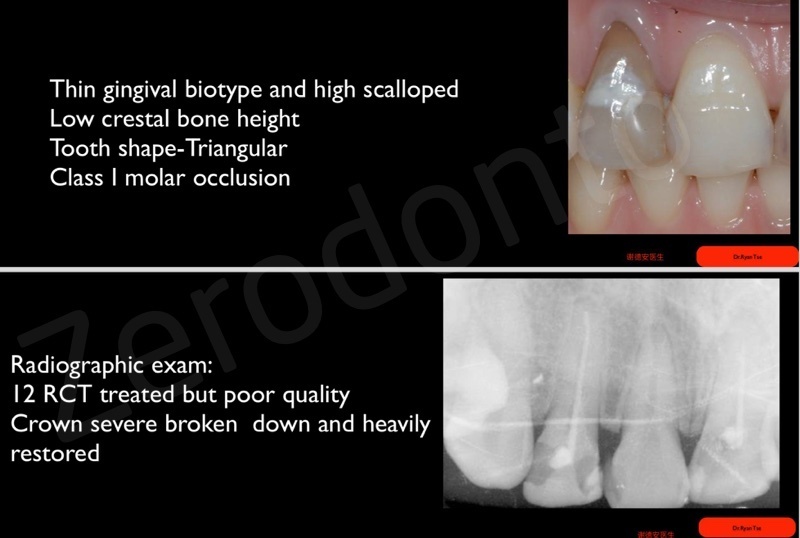 The level of the free gingival margin of the failing teeth is 3mm below the ideal level. 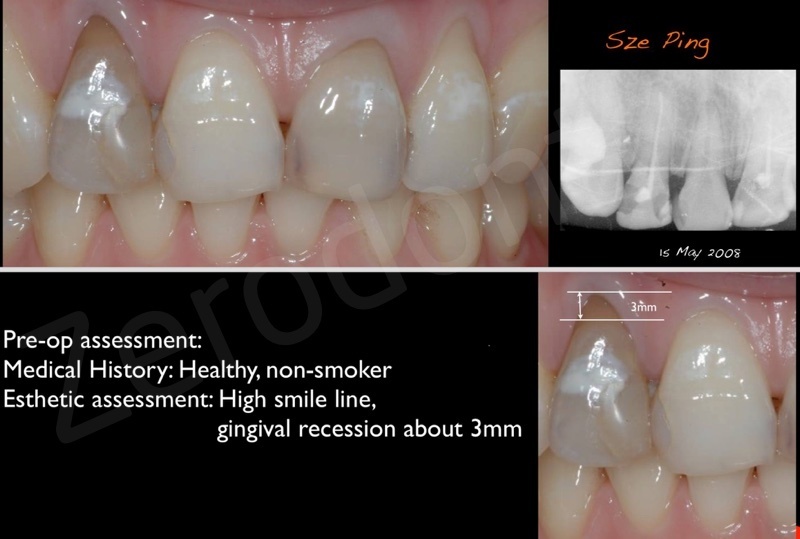 Immediate implant placement may have further 2 mm recession. 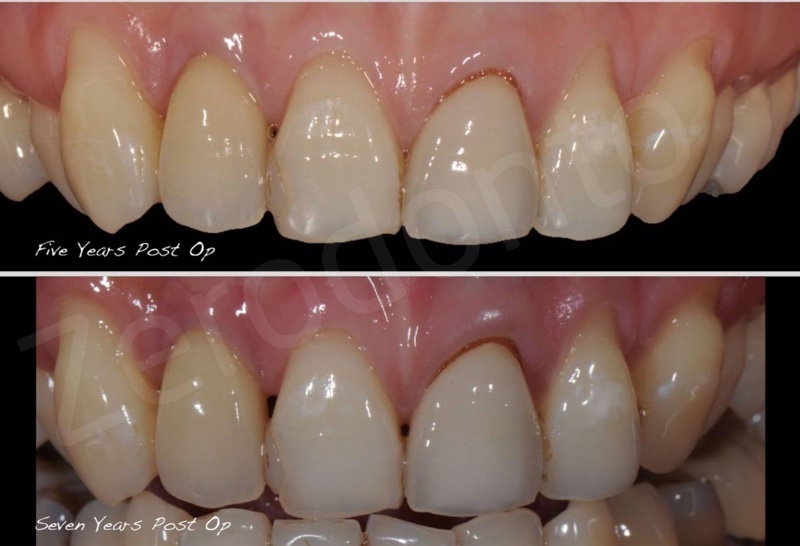 Connective Tissue Graft to increase the thickness of facial gingival tissue. 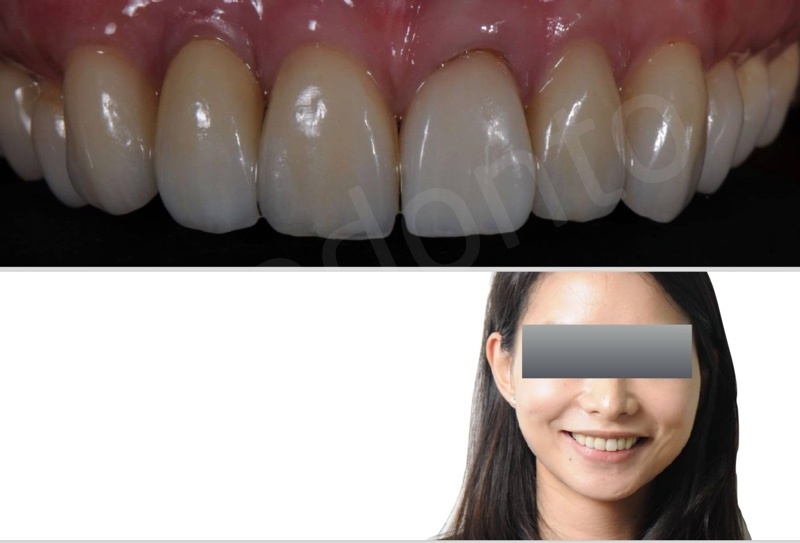 Resin bonded bridge is used because the primary stability of the implant is not ideal. 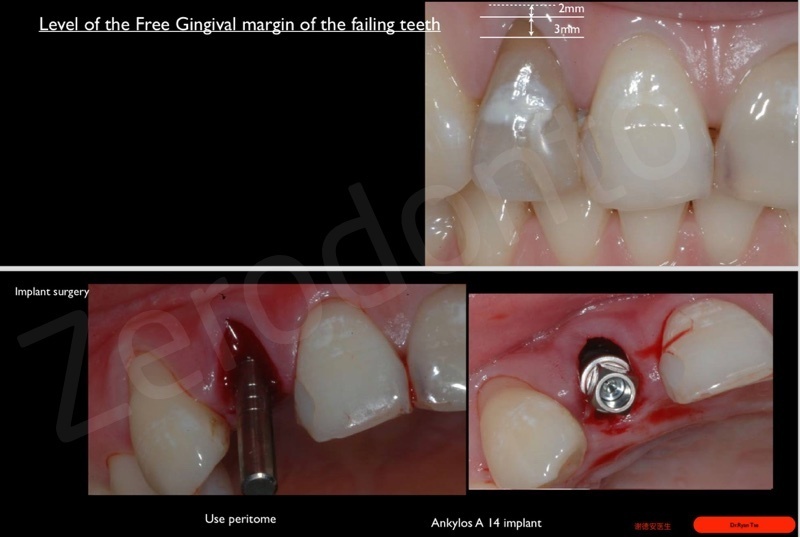 Two years after Immediate implant placement, the gingival margin is very stable. The patient request to have an implant to replace 21. 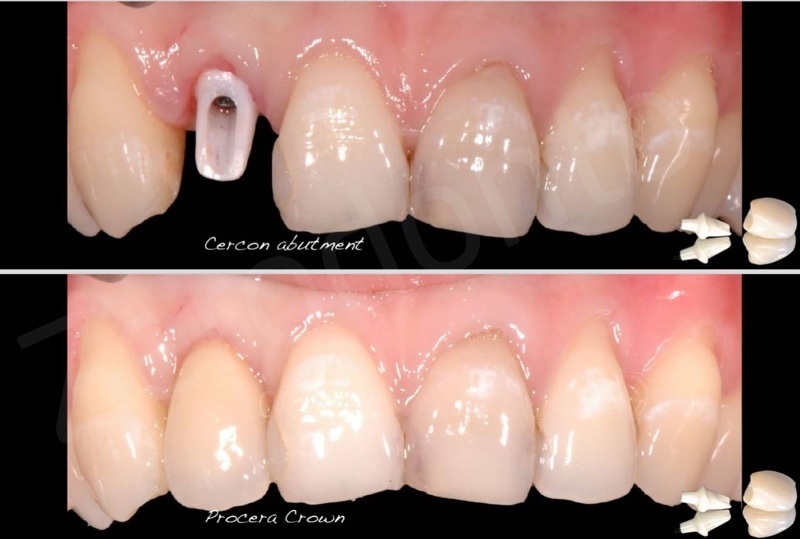 Operator recommended doing RCT and Crown as the tooth is a good prognosis. Five years— Seven years review. The gingival margin of 12 is stable but the gingiva receded among the other teeth. The patient complained the dead triangle and she wanted to fix her smile. 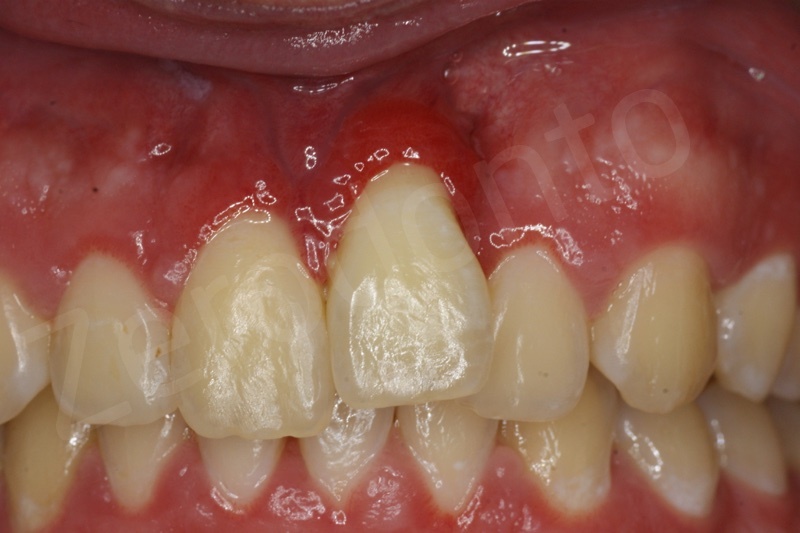 The DSD photo is used to show the patient that the ideal gingival margin position. 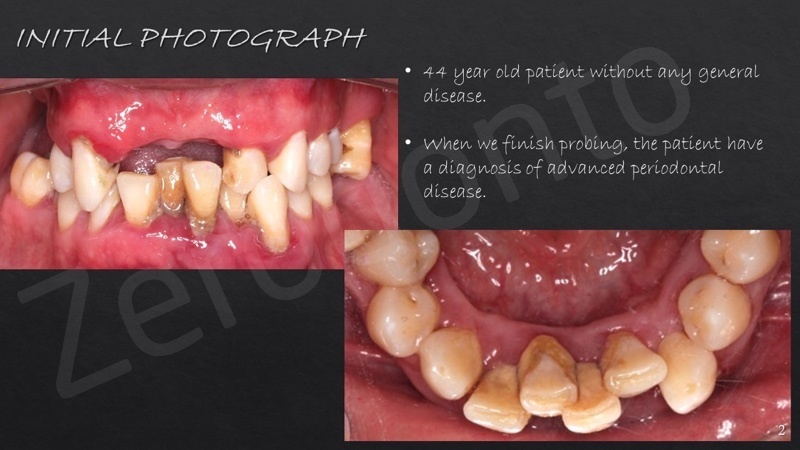 She is advised to have connective tissue graft to correct the gingival margin first. VISTA technique (by Homa Zadeh) is used and Connective tissue is harvested from the palate. Two months after the surgery. The root surface is well covered and the gingival margin is corrected. 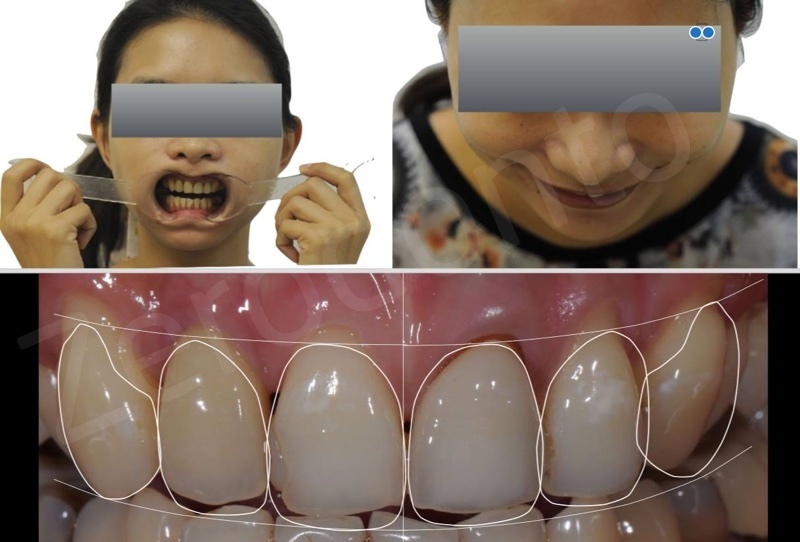 Veneers/Crown are planned to close the dead triangle. 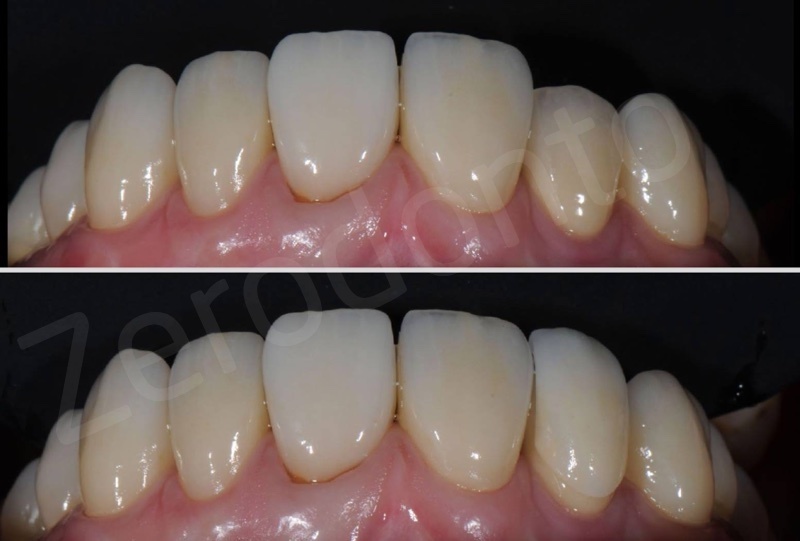 Ultra thin veneer 14,13,11,22,23,24 and Emax crown were cemented.